- takes a long time to release water, is a water hog. - a risk of wet indoors location, puddles, splashes. - listening to a wide variety of sound, voice, music. - use in overtly wet outdoor rain type situations, it is a water hog. - improvement from Mini for me, addressing audio issues with the Mini which had made the Nano my favourite. 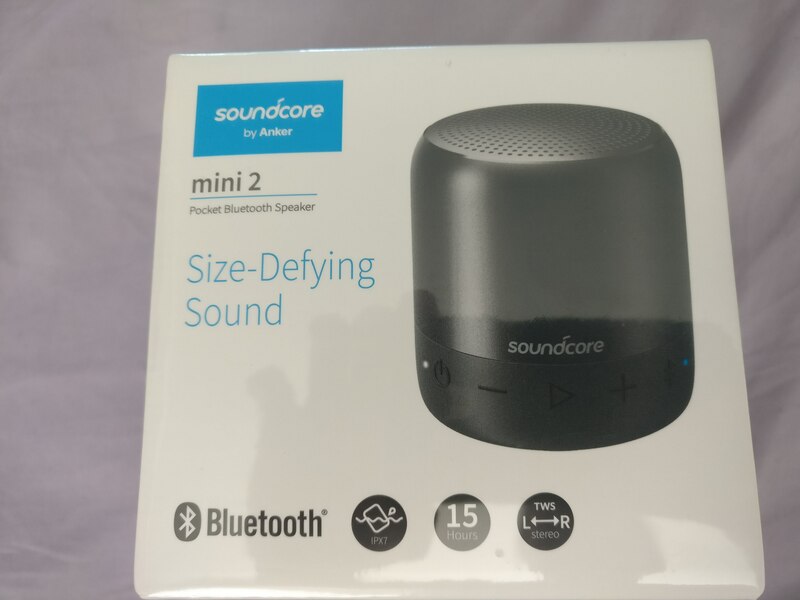 I won this Mini 2 in return for 300 Anker Power Bucks and have had this now for 2 days and used it in typical situations I would expect to use, which for me is boosting feeble phone / tablet speakers and for listening and speaking on the phone in noisier environments which for me is in the kitchen when cooking and sound of food cooking and competing with the extractor fan. Pairing. 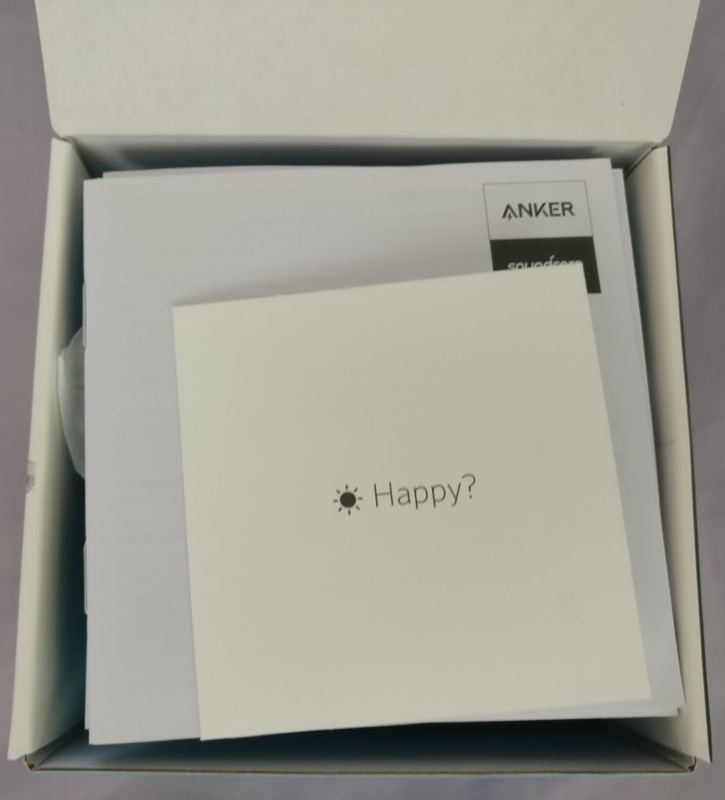 I paired with Chromebook, it paired first time but asked me to accept a PIN (weird) which I did and it worked. Chromebook and bluetooth is one of the most awkward combinations. Paired with my phone first time perfectly. Water test. I ran it under the tap to simulate what I'd typically expect this to be exposed to which is rain. It did not break, a few shakes and it was as new. Running the Mini 2 underneath under the tap had no obvious affect, but when I ran the upper part under the tap the sound became very muffled. 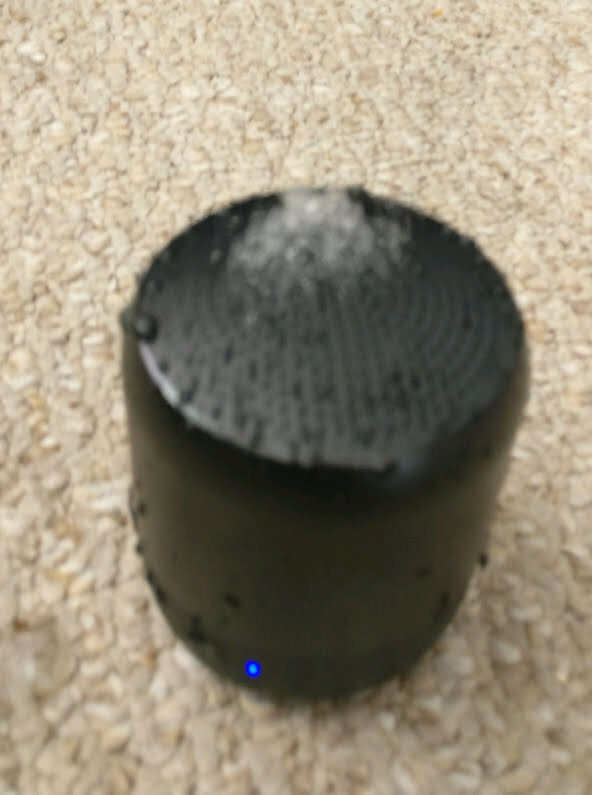 Amusingly the bass sounds would cause the water to spit out of the speaker, to only land back down, so I needed to give it both a good shake and a wipe down to soak the water up out of the holes in the top. Photo attempting to capture what you see of the water being thrust up out of the top of the speaker. I expect if you left it long enough the sound would dry the speaker out. The water is able to intrude into the Mini 2, and then is slowly oozing out. I got the Mini 2 really soaked hours ago and water is still emerging hours later from all of the Mini 2 like out of the gap between metal and rubber, so it is something of a water hog holder. 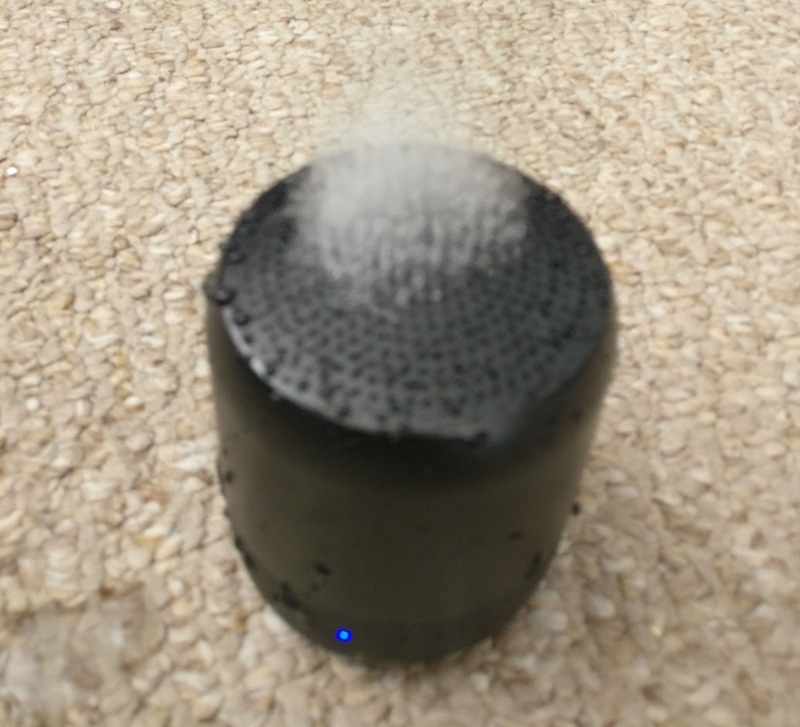 Over hours after I soaked the Mini 2, the photo showing sound pushing water out, kept happening, every time I picked it up and dried it, it went wet again. So this is not really for deliberately wet situations, is for more placing on wet surfaces and accidentally wet situations. Long term, given this is a water holder hog, I think it will probably rust from the water been hogged within. So consider waterproof a secondary failsafe, not primary. Conclusion: this is water tolerant but not really for using outdoors in actual rain as the rain would block the sound escaping, so that means where there is risk of water exposure not for having it out on a table in the rain. This is really because the sound comes out of the top, pointing to rain. 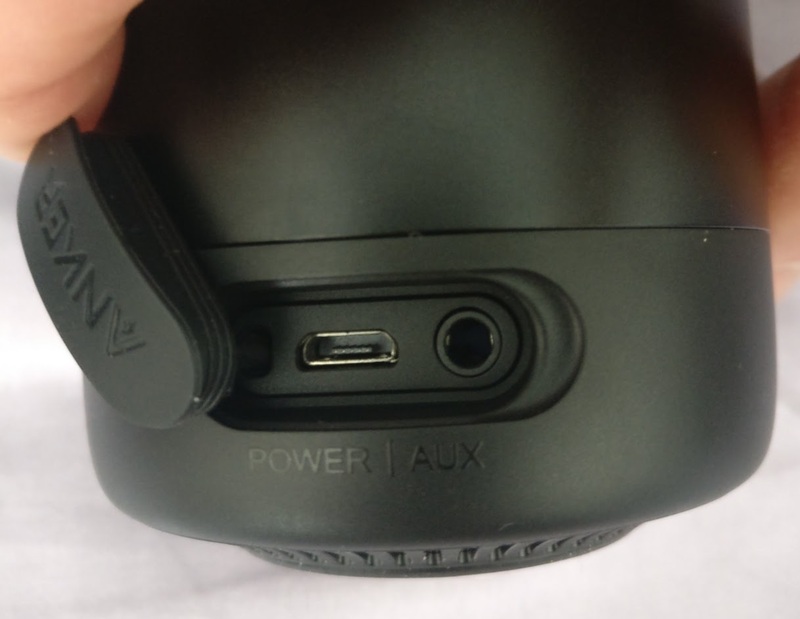 Other Anker audio products like the Sport XL I have have the sound coming out of the side and it can happily keep working no muffle in rain. If this is a problem for you simply place it on its side pointing at you or place it under something knowing that general wet is fine. 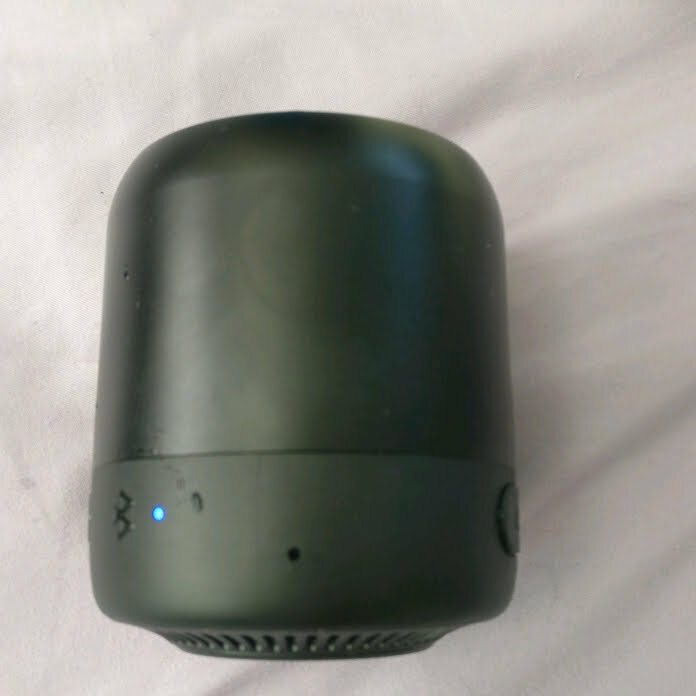 Given this is a relatively low Wattage speaker, outdoors the sound is being spread over a very wide area, unlike indoors where sound can bounce off walls and reflect and so focus the sound, outdoors you will find the sound feeble, so outdoors you would be more likely wanting a physically bigger speaker with more Wattage, a heavier item which does not vibrate distort sound. Those outdoor speakers are using side facing speakers so tolerant rain better. Therefore I suggest this Mini 2 is more for indoors and for risk of water like wet surfaces in kitchens or bathroom. For that, I think it is a perfect Wattage and features, so use in a kitchen and bathrooms and not worry about splashes and puddles on surfaces. Outdoors consider the other Soundcore options which are both louder and side facing speakers to handle rain. I did audio test of using two phones and muting one to hear my own voice as I spoke into the Mini 2. When my mouth was right next up to the speaker it was excellent, clear, but it only took a few inches remote for my voice to be very weak. So the microphone in this speaker is not intended to be acting as a speaker phone would, it does not boost gain the input when the input is remote. So you can use it to listen to phone calls but if you want to speak then have to pick up the Mini 2 and talk to the mic. That conclusion tells me this is good for generally listening to calls where you either do not need to, or rarely need to, talk. For bidirectional speaking, use some buds which have the mic next to your mouth the whole time. Listening to sound it is excellent, I find it an improvement from its predecessor the Mini, it is a good use of higher frequencies, the bass is not drowning out the treple. That was the biggest negative of the Mini, it was so-so for music but voice it was inferior to the Nano. So the Nano was my personal best preferred speaker, this is now replaced with the Mini 2. Combined with the waterproofness this overall makes this now my favourite! 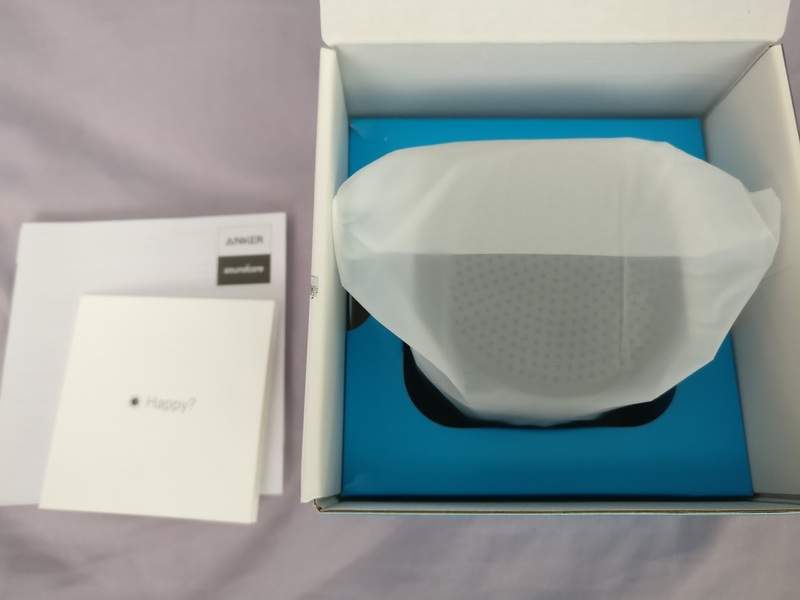 Bluetooth distance: I tested in my home moving the Mini 2 around separating from the phone. It began to cut out in 15 feet, when there were 3 wooden walls in the way, when 2 walls it managed to get to 25 feet. 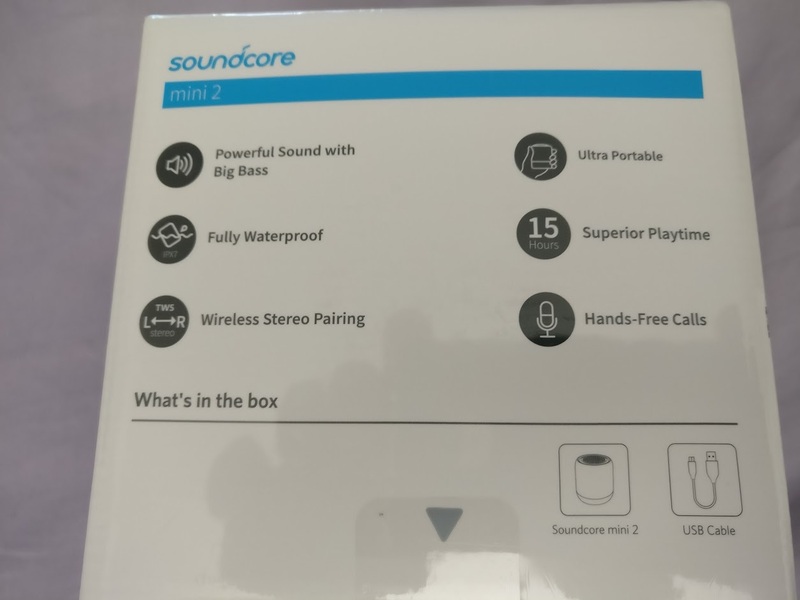 That is what I get from this smaller cousin of the Nano but I got better distance out of say the Soundcore Sport XL which is the bigger cousin also waterproof. Given this is small and waterproof, it would be good for a kitchen where risk of spills, bathrooms where risk of splash and outdoors. In outdoors I expect the distance would be much further. This is a very simple product, just audio in and charging, removed the FM radio and SD slot I never used on the Mini. Having some sound come out of the sides is a really great idea for something like this as you would rarely be above it when you listen to music. I keep revising my review as I think about it. Given this is a lower Wattage speaker, it probably is not what you would use outdoors anyway as the sound is being diluted across a large volume. For sound volume purpose you would be using a physically bigger higher Wattage speaker anyway, and those direct the sound to the sound and so do not suffer from rain at the top problem. So really this is for indoors and then the water risk is more from below, so kitchens and bathrooms. Revised my review as I think more about it. The price obviously has to drop. I have two Mini "1" original and one was won and another bought and I think I bought mine at $20. I expect Mini 2 will hit the $20 price. UK equivalent would be about 16 quid. The Nano often got to 10 quid. Water is still oozing out my Mini 2 now as I use it. Revising review. Every time I pick it up, it is wet, drying it, place down. Repeat. Splashes around it. Water hog. Nice review, and I agree on all fronts. I didn't hae it in my review but I also noticed water coming out of the speaker about 4 hours after I had it swimming n the pool. The one speaker I had submerged took almost a whole day to rid all the water out of it. For outdoor use I definitely recommend using two speakers, as you found its rather muted due to its t size and top firing speaker. Thanks for the review and honesty. And great photos showing the actual action of what happens when exposed to water. I always thought that sound could be muffled when submerged in water but never actually experienced it.